As we continue to expand our marketing efforts outside of Connecticut, we have been able to gather MLS data for condominium sales in Rhode Island. Despite our proximity to the state, I had very little knowledge of it having physically visited it less than a dozen times, primarily to go to the beach in Westerly. Rhode Island is the smallest state in the United States consisting of 1,045 square miles. It has only 39 towns and cities, the largest of which is its capital, Providence with 178,000 people. The entire population of the state is 1,052,567 according to the 2010 census, making it the 8th least inhabited state in the US. We noticed immediately that property values are considerably higher in Rhode Island than in Connecticut. The FHA Mortgage Limit in Rhode Island is $426,650; by comparison, in CT, it ranges from $280,600 to $357,650, except for Fairfield County, which is a whole different animal. 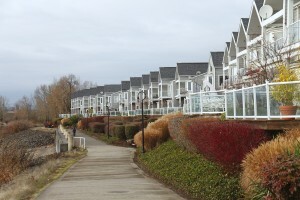 In addition, very few condominiums in Rhode Island are approved with FHA. There are 731 condominiums listed in Rhode Island on the FHA Approved Condominiums List. This means that at one time or another, 731 condominiums were approved with FHA. 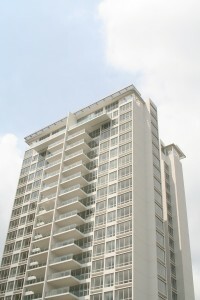 However, this is not an accurate depiction because certain phased condominiums appear multiple times on the List. Currently, there are only 80 approved in the entire state. While having lunch last week with a pair of Rhode Island condominium attorneys, one remarked that many associations may not be educated as to the importance of obtaining an FHA approval. I also suspect that most aren’t aware that the FHA Mortgage Limit is so high…I wasn’t. In Connecticut, condominiums where the values of the units are north of $300,000 would derive little to no benefit of an FHA approval. This is not the case in Rhode Island for two reasons: (1) prices are higher for comparable units and (2) the FHA mortgage loan limits are higher. We have also noticed that it is common that the larger associations in Rhode Island are maintaining their FHA approvals. I spoke to one property manager this week who mentioned that she makes sure that all of her communities maintain their FHA approvals. Kudos to her for knowing the value of the approvals! Over the next couple of weeks, I will be working to compile sales data for towns and cities in Rhode Island and compare the FHA-approved projects with those that are not on the List. In some towns where there are only one or two that are approved, this will not be an easy task. In a brief scanning of condominium unit values in some of the towns, waterfront and luxury condos are fetching prices of $600,000 to over $1,000,000. In these towns, such a comparison would not be relevant. Posted in FHA Condo Approvals, Real Estate. ← Visit RSL Condo Team at the CAI New England Expo!